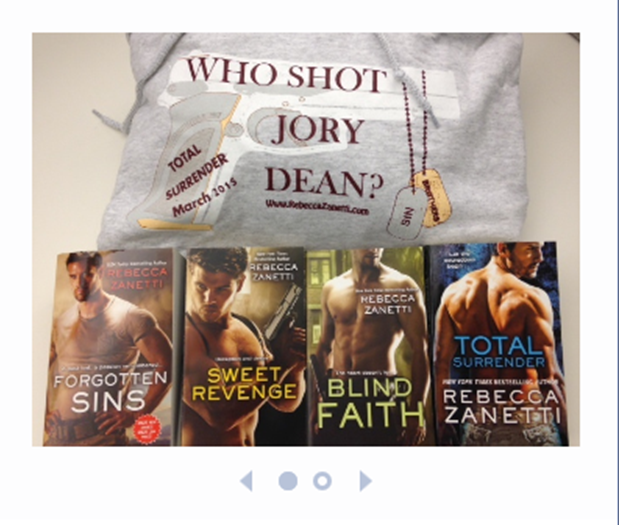 Win fun prizes at the Total Surrender Blog tour! Isn’t that fun? You can enter at any of the stops, and here they are: (I’ll update with links as posts go live. Right now, this is what is live.) Good luck! This is such a generous giveaway. I haven’t read any of the books yet but I will definitely be doing that soon. The excerpt is great and I can’t wait to meet the Dean brothers. Thanks for the opportunity.